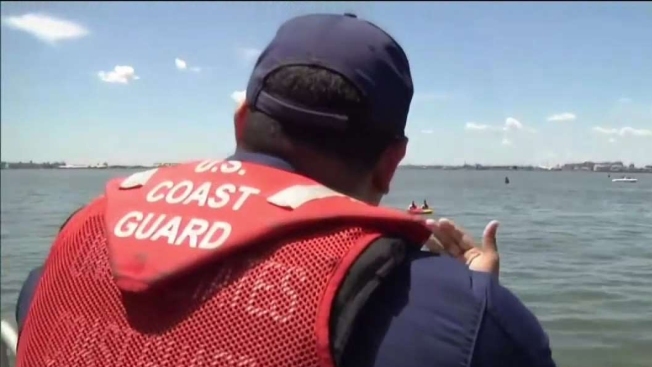 The U.S. Coast Guard has suspended a search in waters around New London after a report that a person went into the water and did not resurface. The Coast Guard said police received a 911 call around 7 p.m. Thursday saying someone saw a person go into the water near Ocean Beach Park and never come back up. They sent a Jayhawk helicopter from Air Station Cape Cod and a 45-foot response boat from Coast Guard Station New London to look for the person, while local officials searched from the beach using spotlights. A commercial fisherman also helped. The guard said it eventually ended its search late Thursday.